Now that we’re at the tail end of peach and blueberry season, I made the most of a batch of peaches bought from my local farmers’ market with a crumble. Cue the queen – Ina Garten. For the topping, combine the flour, granulated sugar, brown sugar, salt, cinnamon, and the butter in the bowl of an electric mixer fitted with a paddle attachment. Mix on low speed until the butter is the size of peas. Rub the mixture with your fingertips until it’s in big crumbles, then sprinkle evenly over the fruit. Place the ramekins on a sheet pan lined with parchment paper and bake for 40 to 45 minutes, until the tops are browned and crisp and the juices are bubbly. Serve warm or at room temperature. 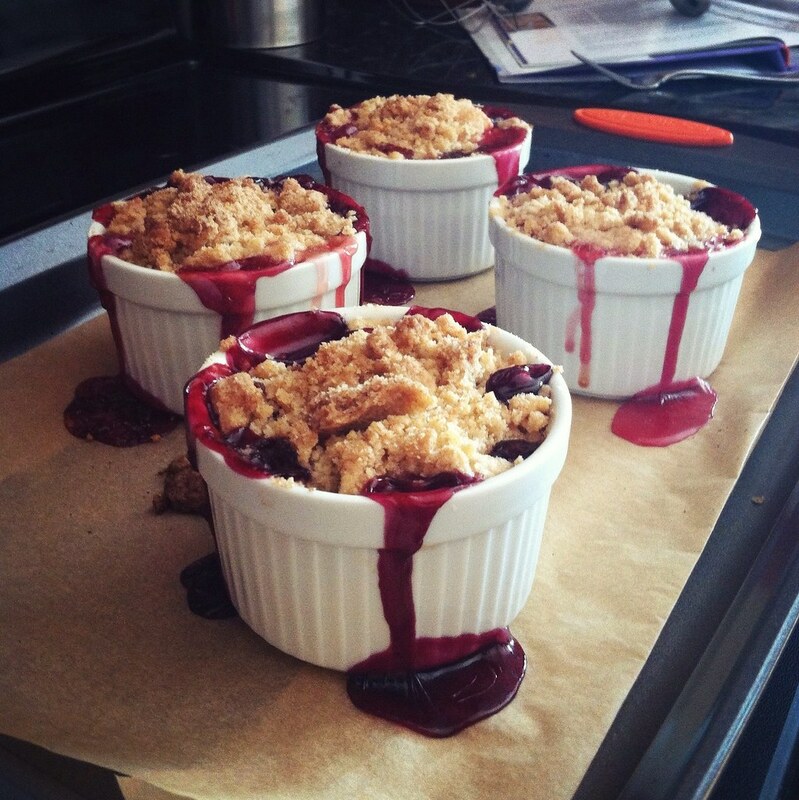 If you want to make these early, store the unbaked crumbles in the refrigerator and bake before dinner. I currently have 6 of these unbaked sitting in my freezer. Mr. E and I snuck two into the oven for some quality control testing. Let’s hope they thaw and bake well for my guests hailing in from New York this weekend.